The limited edition Under Armour Curry “Back 2 Back” pack commemorates Stephen Curry’s consecutive NBA MVP Awards with individual colorways of the UA Curry 1 and 2. 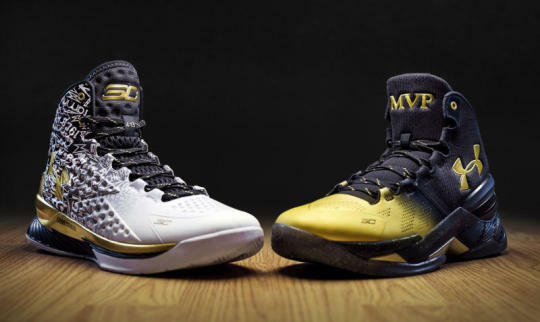 Each shoe features graphics and themes meant to pay tribute to Curry’s two year run as league MVP, with individual inscriptions inside the tongue of both models. The Under Armour Curry “Back 2 Back” Pack releases online at Xhibition.co 8/10 at midnight 12AM EST.